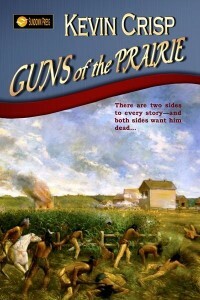 When mixed-blood army scout Peter MacLoon is caught in the middle of the short-lived Dakota Uprising he realizes there are two sides to every story—and both sides want him dead. Son of a Dakota mother and his father a Scottish trader, whites don’t trust him, and the Indians don’t, either. But Peter makes a promise to two women, both of them alone in the wild territory, that he will see them to safety. Believing he’s done the right thing for beautiful Emma Foster, he travels on to complete his mission for the army. But he stumbles upon a white captive that he must free—and when he does, he vows to keep her safe until he can return her to the world she was stolen from years earlier. Keeping his word may be the death of him when she is captured again by marauding Indians, and he must face the GUNS OF THE PRAIRIE to save her—or die trying.